Joint pain can affect many parts of our body. We all know how energetic older Australians really are. Now research has made it official: we refuse to let age or pain get in the way of an active life. New survey findings have revealed that baby boomers (50 to 64 years old) will put in nearly the same number of active hours per week as 18 to 24 year old millennials. The findings also revealed that older Aussies have a more tough and resilient attitude. Even when faced with aches and joint pains, we’re more likely to simply “get on with it”. Dr Bill Sukala, exercise physiologist and nutritionist, says this active lifestyle is particularly important for those dealing with chronic illnesses such as osteoarthritis – where continued activity is key to reducing pain and preventing further decline. Resting isn’t the answer, and may ultimately make the pain worse in the long run. Of course, perseverance doesn’t come easily. If you are finding it difficult to maintain an active lifestyle due to joint pain or osteoarthritis, there are ways to make this essential activity more easy and enjoyable. With the joint pain of osteoarthritis, every day is different. While a routine medication might work well today, it might not feel sufficient on a more intense “flare-up day”. A flexible pain management regimen will help you adapt and take control of your pain. This may mean choosing a treatment option to address your changing needs. One approach can be to take Panadol Osteo to relieve persistent, everyday pain, while an anti-inflammatory gel, like Voltaren Osteo Gel 12 Hourly, can target acute pain and inflammation if it flares up. Taking control can create some powerful peace of mind: the pain is not something to be endured, but actively managed. An active routine doesn’t necessarily mean reinventing your lifestyle or committing to an exercise routine you don’t enjoy. Often it can be about making time for the activities you genuinely love doing. For Christine, it wasn’t about going to the gym, but finding alternative ways and activities to keep her world active and energetic. For her social needs, jazzercise class proved the most motivating and enjoyable – and it’s helped her maintain a very positive attitude. Research has found a close link between weight and osteoarthritis pain, with reduced weight leading to less pressure on the joints. If you are eager to find a weight-loss diet that can help you toward better pain management, there are some great resources especially designed for those living with osteoarthritis and joint pain. Click here to get started. Sleep deprivation and pain are closely linked. A tired body will feel more sensitive, meaning your perception of pain will increase. Of course, when pain makes this sleep more difficult, this is easier said than done. This makes a flexible pain management regimen all the more important. Click here for more information on how to sleep more comfortably with joint pain. A pet isn’t the right choice for everybody – but in many cases, it can be an incredibly effective way to make life with osteoarthritis and joint pain easier. Pets have well documented physical and psychological health benefits. Not only can they brighten up your day, but they naturally encourage the mobility and exercise your body needs. 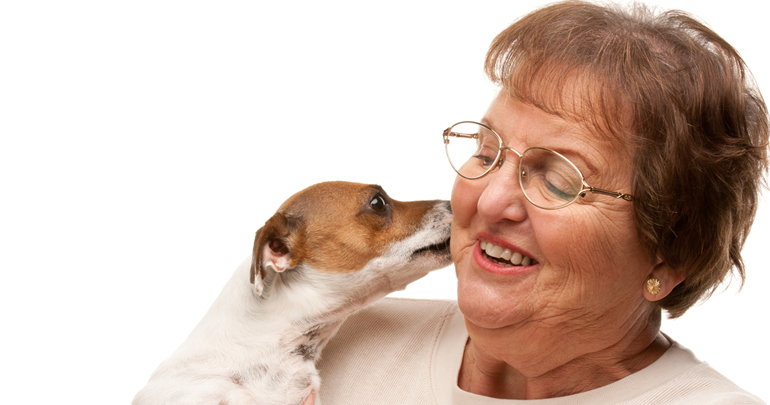 Click here to learn more about how pet ownership may help with pain management. 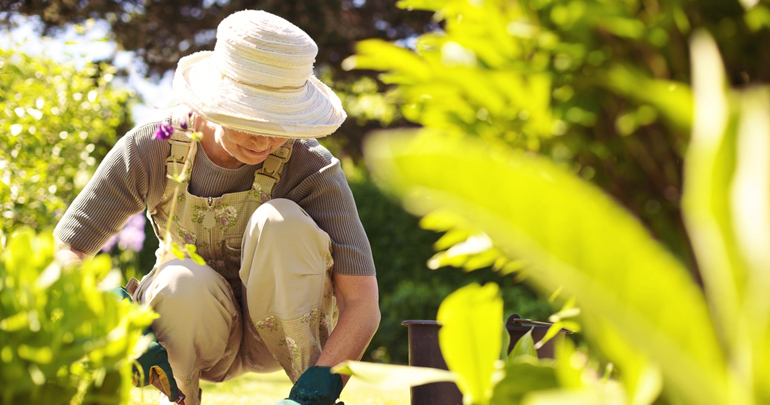 Gardening requires a wide range of movement that can be tremendously helpful for mobility. However, joint pain can also make this very challenging. It’s important to find a balance between short-term comfort and long-term benefit. If you’re an avid gardener – or interested in becoming one – there are ways to make it easier, including warm up exercises, raised garden beds and small modifications that can make tools easier to handle. Click here for some helpful tips on keeping gardening more comfortable. High spirits can make a world of difference when living with chronic pain. 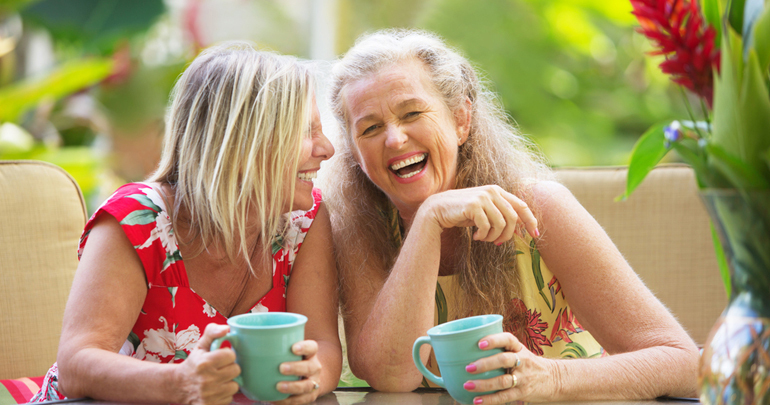 Laughter has many health benefits, and in the case of osteoarthritis sufferers, it has been shown to increase pain tolerance. This makes it all the more important to consider the activities that bring you not only exercise, but lively social interaction. Whether it’s a walk with a friend, gardening with a partner, a group class, or even a simple catch-up over coffee, there are tangible health benefits to spending regular time with those who bring you cheer. Are you (or somebody you know) living with osteoarthritis or joint pain? What other tips would you suggest for staying active and keeping the pain under control? Share your story in the comments below. Please note: this article is no longer monitored by GSK. If you wish to speak to GSK regarding your experience with one of their products, please contact them on 1800 028 533 (AU) or 0800 540 144 (NZ). ALWAYS READ THE LABEL. Use only as directed. Consult your healthcare professional if symptoms persist. Panadol Osteo: Incorrect use could be harmful. Galaxy Research, 2017, GlaxoSmithKline (GSK) data on file. Weisenberg M, et al. Pain 1995;63(2):207-212. Trust Panadol Osteo to manage your everyday osteoarthritis pain but when pain flares-up, target the pain and inflammation with Voltaren Osteo Gel 12 Hourly.